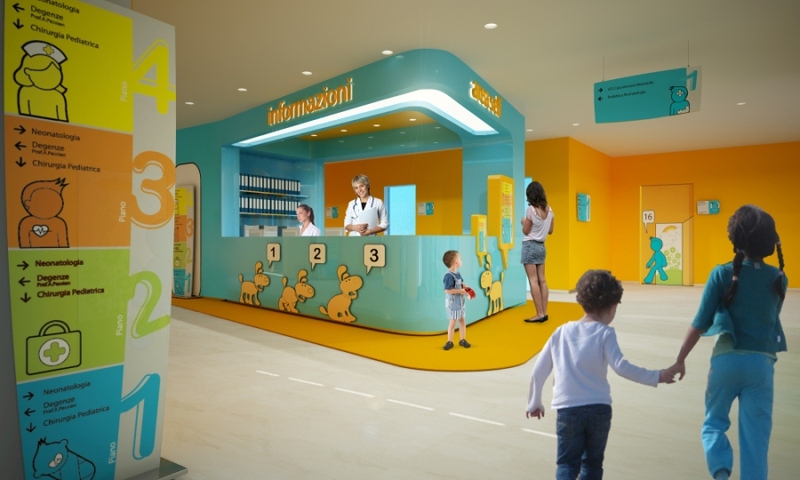 The task of this Children’s Hospital design project was to create a unique warm and enjoyable atmosphere that doesn’t even look like a hospital at all, where young patients could feel comfortable and happy. This design project was born to bring an unusual hospital experience. This is a storytelling place. Characters, created for project, guide young patientsthrough the hospital journey,through storied and fairy-tale like areas. 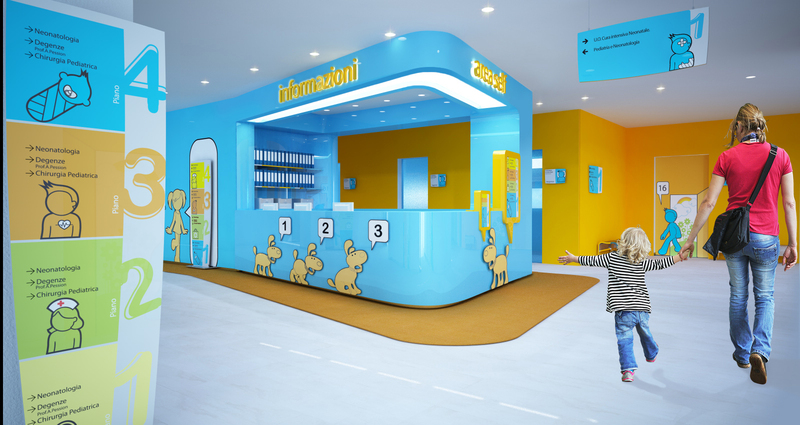 The journey starts from the entrance, where is located a carefully designed big reception desk with rounded corners and gentle curves. On the reception desk you will find two touch screen displays that allow you to access menu and find out all the necessary information about the hospital. These touch screens have a shape of a speech bubble. One of them is for a child, with special interface suited for children. 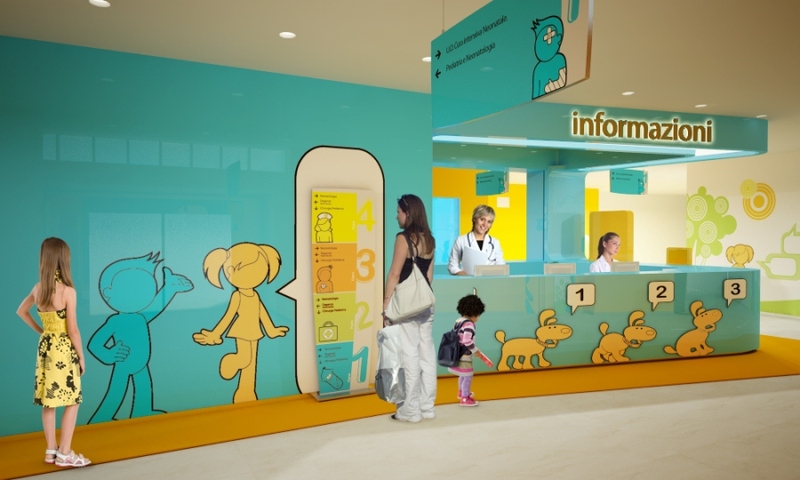 The unique sign system was developed using pictograms of cartoon hospital characters for both destination and wayfinding signs. 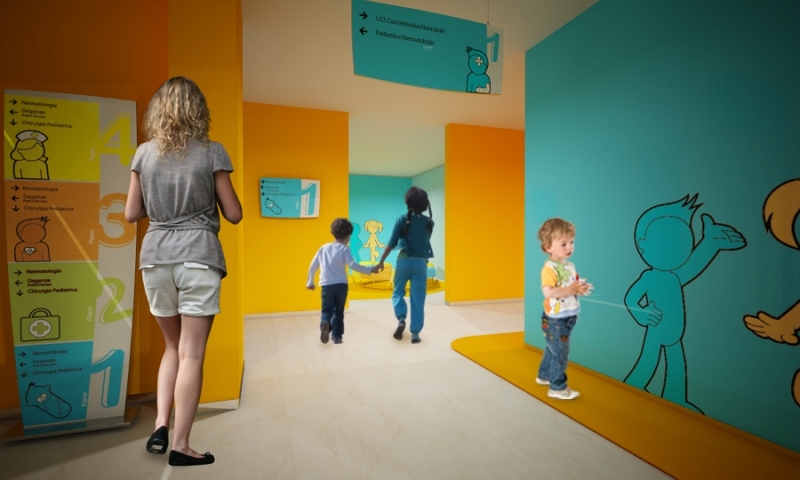 This system helps to navigate quickly kids and their parents through the space. 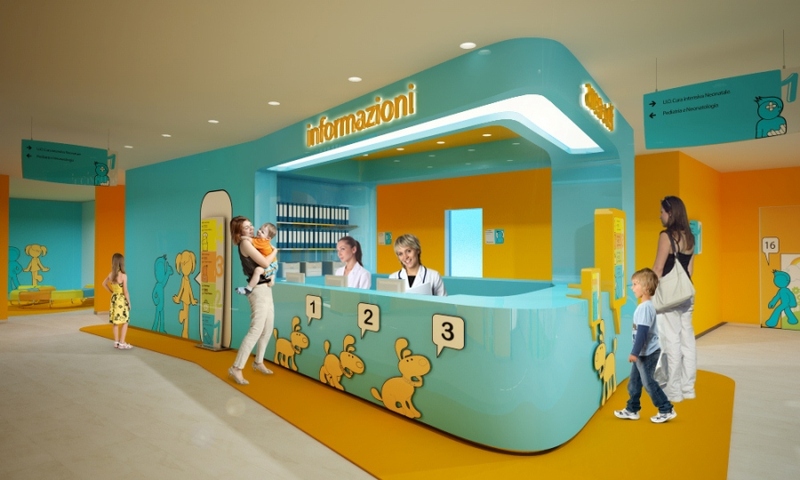 Interiors of this pediatric hospital are warm, colorful and welcoming. Vivid colors and wall illustrations with cartoon characters, created especially for this project, feed kids imagination and help forget the health problems that brought them to the hospital.